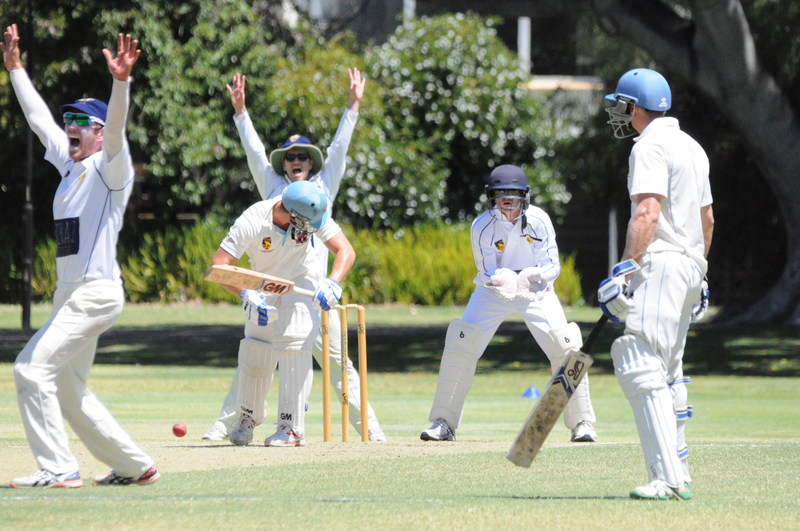 CLAREMONT-NEDLANDS look set to extend their lead at the top of the Premier Cricket ladder after dominating a stubborn Bayswater-Morley side during round seven. Jack Cattrall was the star bagging five wickets to lead the Tigers’ bowling line-up at Hillcrest Reserve. The Tigers bowled the Bears out for 221 with the visitor’s strong batting line-up vital to this week’s result. Matt Kelly and Jim Allenby both chipped in with two wickets with the Tigers still the premiership fancies. Subiaco Floreat is in trouble against a rejuvenated Rockingham-Mandurah outfit who posted 9-345 at Lark Hill, with a Mitch Green century overshadowing another excellent bowling performance from Andrew Holder. The quick secured four wickets to go to the top of the wicket-taking standings and Tim Monteleone captured three wickets. University continues to struggle as Willetton put the Students bowlers to the sword in a dominant batting display at James Oval. Tim Young was outstanding with three wickets but the hosts couldn’t find wickets at regular intervals, as the Dragons’ Alex Hepburn piled on the pain with 6-329. Meanwhile in Female A-Grade T20 Competition, Subiaco Floreat lost to Midland-Guildford by six wickets at Alderbury Reserve, with Perth Scorchers’ WBBL batswoman Heather Graham top scoring with 23.